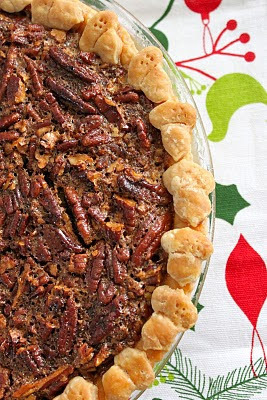 Did you make my Pecan Pie yet? 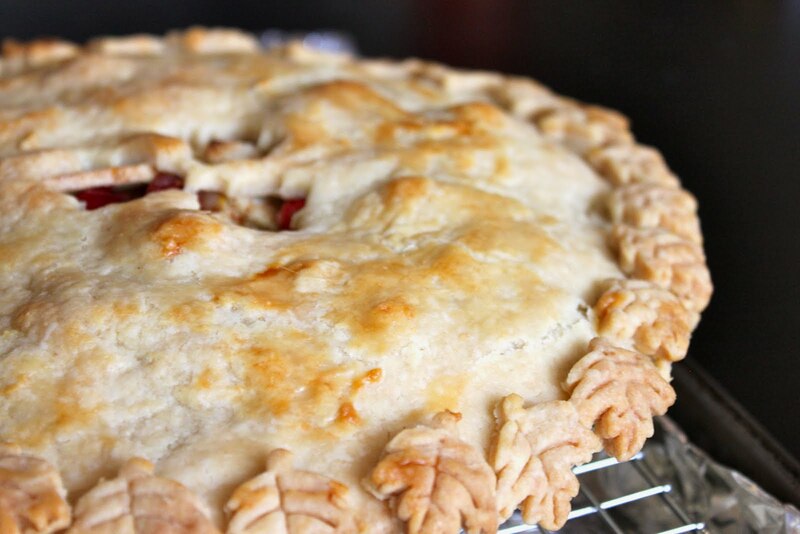 Do you ever wonder what to do with the scraps of pie dough that are left over after you make your pie? When I made my Pecan Pie this week I wondered the exact same thing. I thought I would try turning them into little cookies and it worked out perfectly. All I did was roll out the scraps and used a small cookie cutter to cut out shapes. I then brushed them with some egg whites and sprinkled them with cinnamon sugar. Bake at 350 degrees Fahrenheit for 8 - 10 minutes. I liked them by themselves, but I think they would be delightful with a cup of tea or some coffee. It is about time I posted this pie. 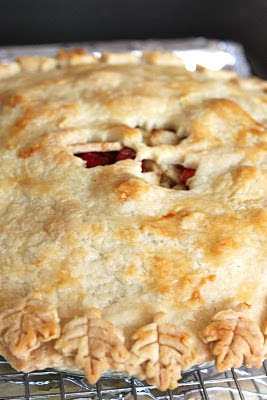 You see, I have made this pie several times since I have been blogging. In fact I have made several times in the past couple months. The problem is, the pie is usually eaten before I get pictures! My thanks go out to my dear friend Sarah for introducing me to this amazing pecan pie. She made it once when she and her husband had Zack and I over for dinner. 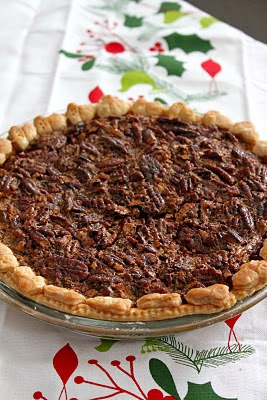 I had never been a huge pecan pie person. I had this idea in my head that I did not like nuts. I know insane! Well, Sarah converted me and made me realize I love pecans! I eat them all the time, but this is by far my favorite way to eat them. I am not sure where she got the recipe and I have made a few changes, but either way it is incredible! When you make this I suggest you make two because people will want seconds...and thirds...and fourths! Instead of posting the crust recipe again, I linked back to a previous post. Mix corn syrup through vanilla in large bowl until blended. Stir in pecans. Pour into prepared crust. Tent crust with aluminum foil. Bake pie for 50 minutes, remove foil and bake an additional 10-15 minutes. The pie is done when you tap the center of the pie lightly, it springs back. I am the first to admit that I am a sucker for cute packaging and anything "Holiday themed" as evidenced in earlier posts. I saw these candy can kisses hit my local CVS right after Halloween. Normally I would have made some gripe about it being too early to put out Christmas Candy, but since they were so cute, I bought a bag and put it in my pantry to be saved until today. How cute are these cookies? Could they be more festive? I just love them. 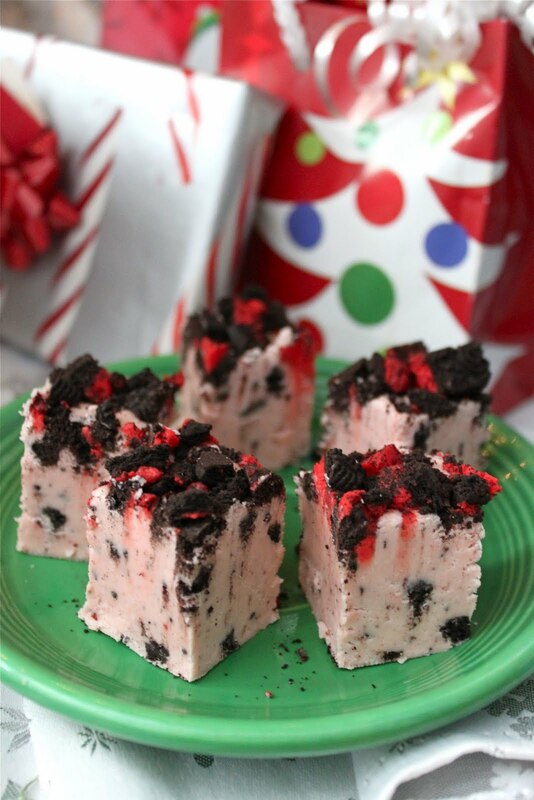 They are really easy to make and would be perfect to leave out for Santa with a glass of milk. I followed the recipe exactly and it said it should make 48. I got 28. I could have made them a little smaller, but I really don't see how you could get 48 cookies from the dough. Otherwise no complaints. I made my own colored sugar which is much more affordable than buying it. All you have to do is put white sugar in a sandwich bag with some food coloring. Then shake it around until it is blended. Add more color to reach your desired shade. 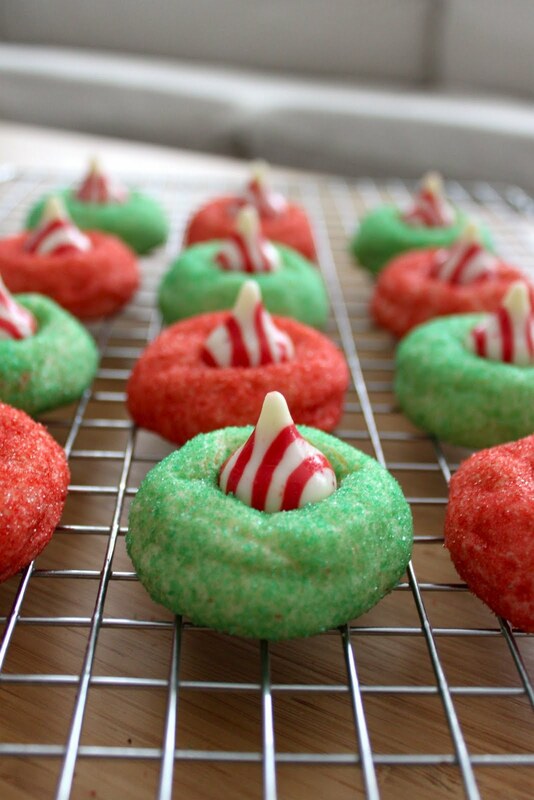 If you do decide to make your own sugar, I suggest you make it the night before you make these cookies (so go make it tonight), because the sugar will need time to dry. To speed up the drying I spread the sugar on a plate and then stir it every so often (when I am in the kitchen). Beat butter, sugar, vanilla, and egg in large bowl until well blended. Stir together flour, baking soda and salt; add alternatively with milk to butter mixture, beating until well blended. Bake 8 - 1o minutes or until edges are lightly browned and cookies is set. Remove from oven; cool 2 to 3 minutes. 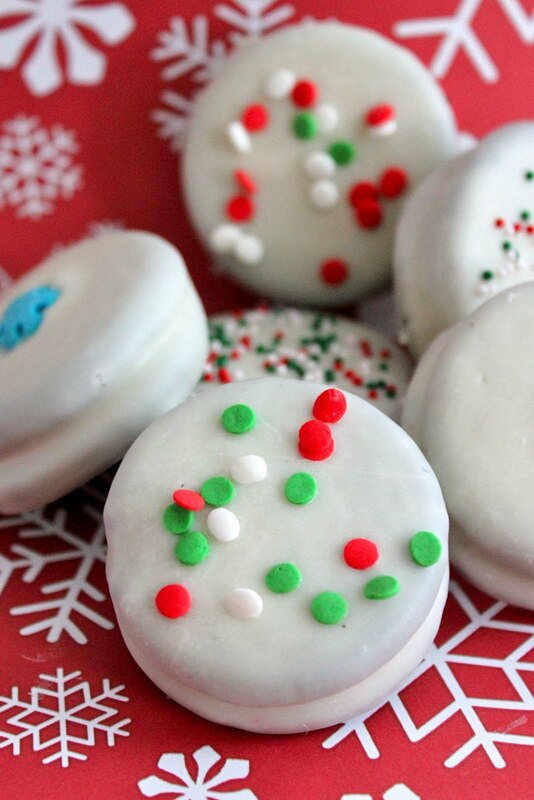 Press candy piece into center of each cookie. Remove from cookie sheet to wire rack. Cool completely. Yields approximately 35 cookies. This is still my favorite treats. If you remember, this past October I made caramel popcorn and I told you that is was my favorite treat. I am pretty sure it still is because I have yet to come across something more deliciously addictive. This holiday season I wanted to give it as gifts because it is that good. I was curious to see if I could use food coloring to dye some of the caramel sauce red and green and you know what...it worked! 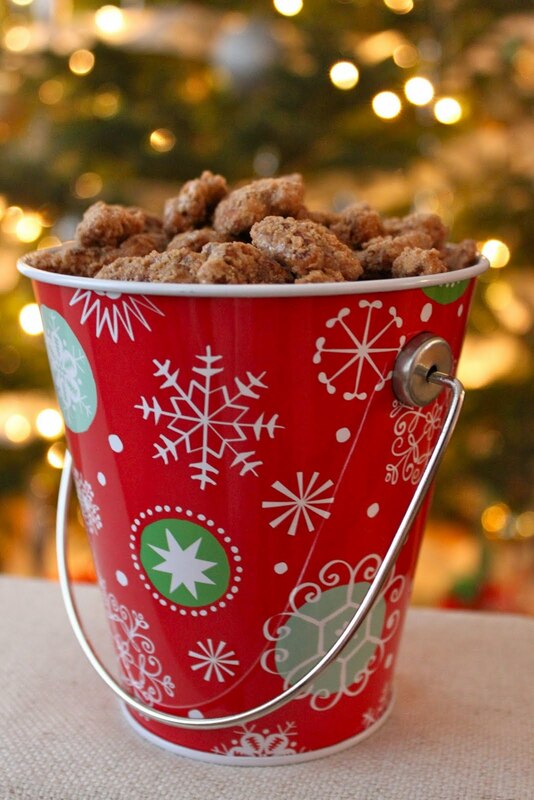 Now this popcorn is delicious and super festive. When you make this, make as large a batch as possible because everybody will want some. If all you have is a 9x13 pan, it will fit one bag of popcorn easily, two if you are super careful when you stir. To make the colored popcorn I did three bags of popcorn and divided them into three 9x13 pans. The original recipe is written for 4 bags, so I have adjusted below in case you want to color the popcorn. 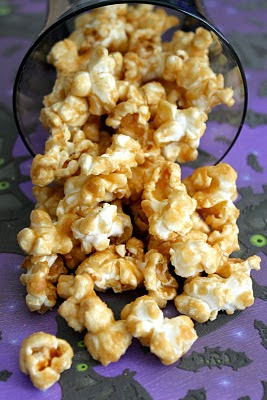 Place each bag of popcorn in a 9x13 pan coated with cooking spray. 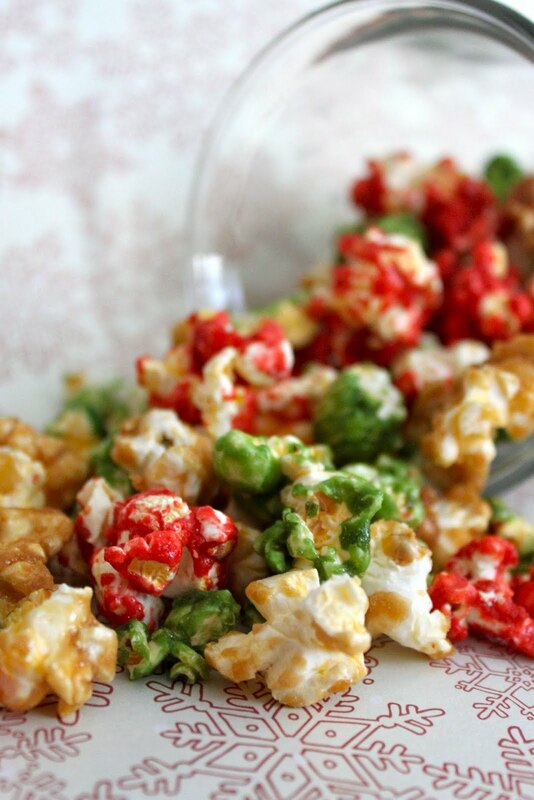 Pour approximately 1/3 the caramel over one pan of popcorn. Toss to coat. Place half of remaining carmel in medium bowl and add red food coloring until you reach the desired shade of red. Immediately pour over second pan of popcorn. Toss to coat. Add green food coloring to the remaining caramel until you reach desired shade of green. Immediately pour over third pan of popcorn. Toss to coat. Bake for 45 minutes, rotating pans and stirring each pan with a spatula coated with cooking spray every 15 minutes. Cool completely before serving. I have been wanting to make these cookies bars for quite some time. 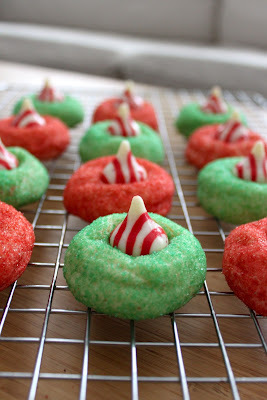 They were floating around the blog world a while ago so I put them on my "to bake list". In fact, I emailed the link for the recipe as seen on My Baking Addiction to myself to make sure I would not forget. As I have mentioned before, that list keeps on growing. 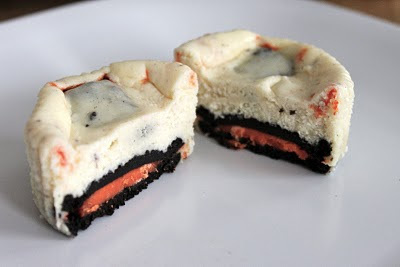 Today I hosted my third annual cookie/dessert exchange and thought these cookies would be perfect to break out. 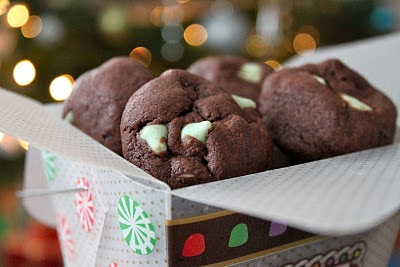 I also made mint chocolate cookies which I will post later this week. The party was a ton of fun, I am thankful to have such wonderful women in my life. 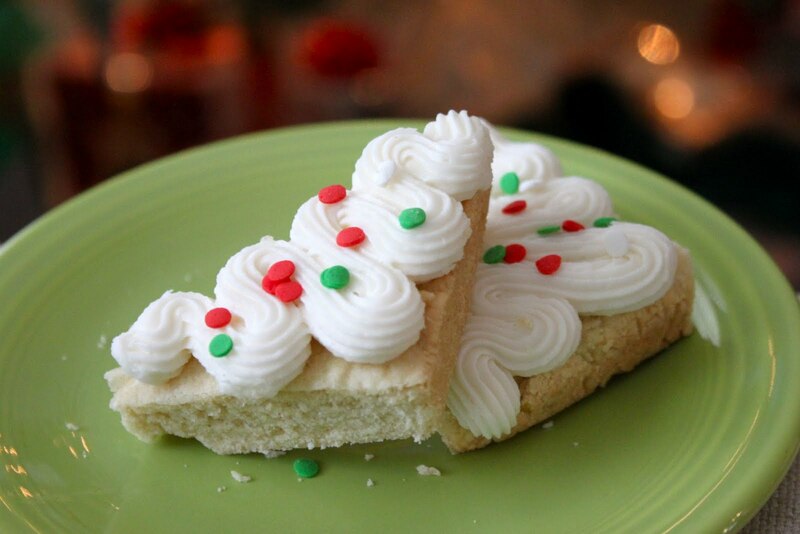 Anyway, back to these sugar cookie bars. 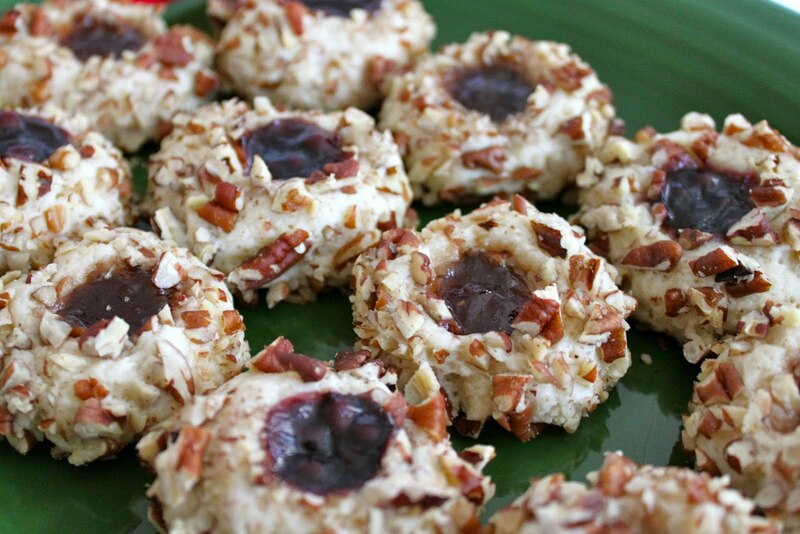 This recipe makes a TON of cookies. I did not count, but I think there were over 60. They taste just like traditional cut out cookies, but are soft and you don't have to deal with the fuss of cutting them. 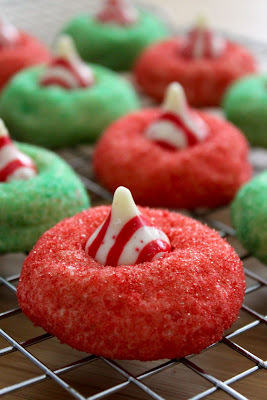 I used my own frosting recipe, but I loved the way Jamie piped the cookies on My Baking Addiction so I piped them in a very similar fashion. 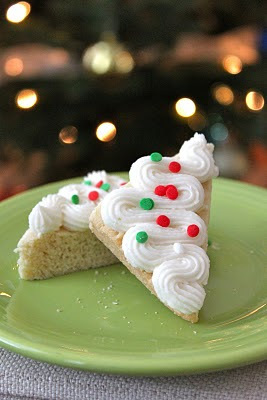 Don't feel like you have to pipe the frosting, go ahead and slather it on! Cream butter and sugar until fluffy. Add eggs, one at a time, mixing after each egg. Add vanilla and mix well. In a separate bowl combine flour, salt, and baking soda. Add to wet mixture and mix until combined. Spread on a greased baking sheet (use a 13 x 18 pan). Bake at 375 degrees Fahrenheit for 10-15 minutes, until light golden brown. Cool completely and frost. 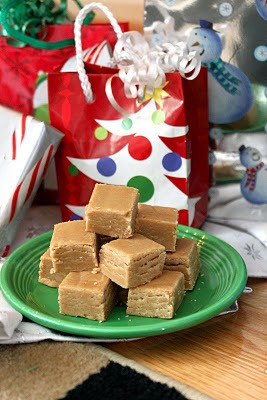 Anyway, I decided this year I was going to make fudge. I actually found it to be a pretty quick and easy process. I did use a candy thermometer so perhaps that helped. 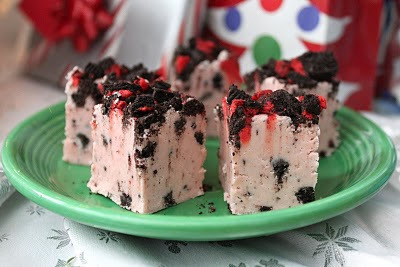 I also made chocolate fudge and cookies and cream fudge which I will also post this month. Melt butter in a medium saucepan over medium heat. 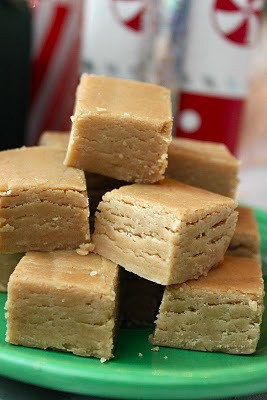 Stir in brown sugar and milk. Bring to a boil and boil until your thermometer reaches 234 degrees Fahrenheit (approximately 4 minutes), stirring constantly. Remove from heat. Stir in peanut butter and vanilla. 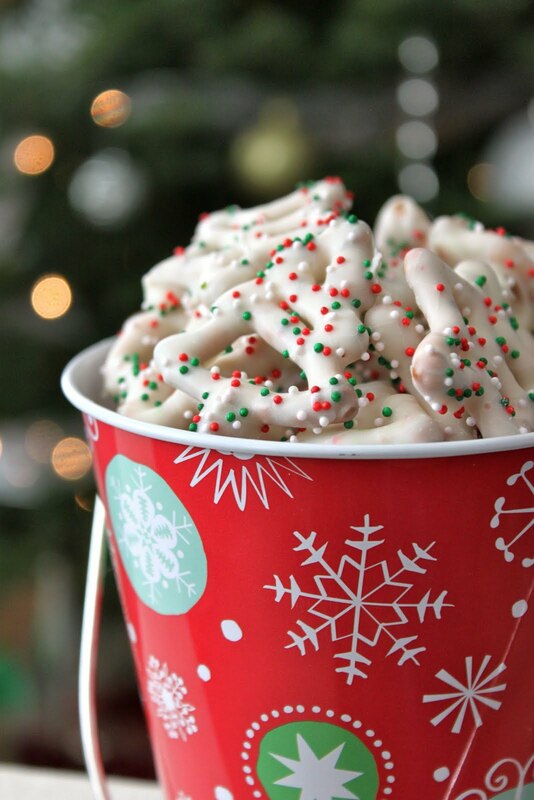 Pour over confectioners' sugar in a large mixing bowl. Beat until smooth; pour into an 8x8 inch dish. Chill until firm and cut into squares. December is here and so is my holiday spirt. 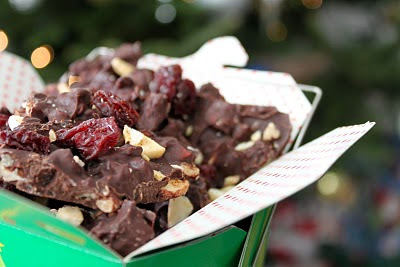 I look forward to December for many reasons and as you can expect one of those reasons is because it gives me endless reasons to make delicious treats. Any excuse to bake is a good one for me. I love giving desserts for gifts. It adds a personal touch and makes the gift a little more special. Typically I stick to cookies and candies, but this year I am trying new things. 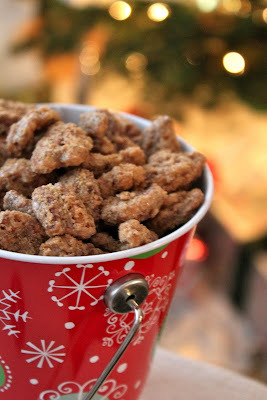 The other night I decided to make Cinnamon Sugar Pecans and they are sooooo easy. 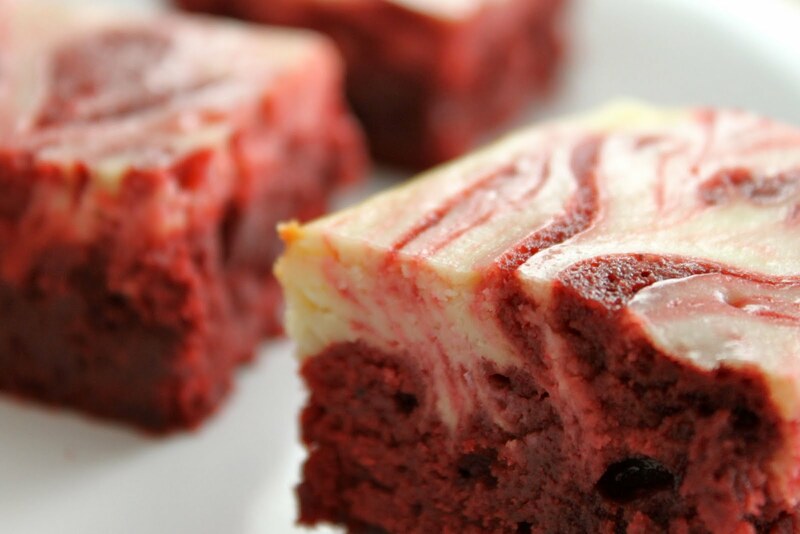 For all of you out there who say you can't bake, this recipe is for you. 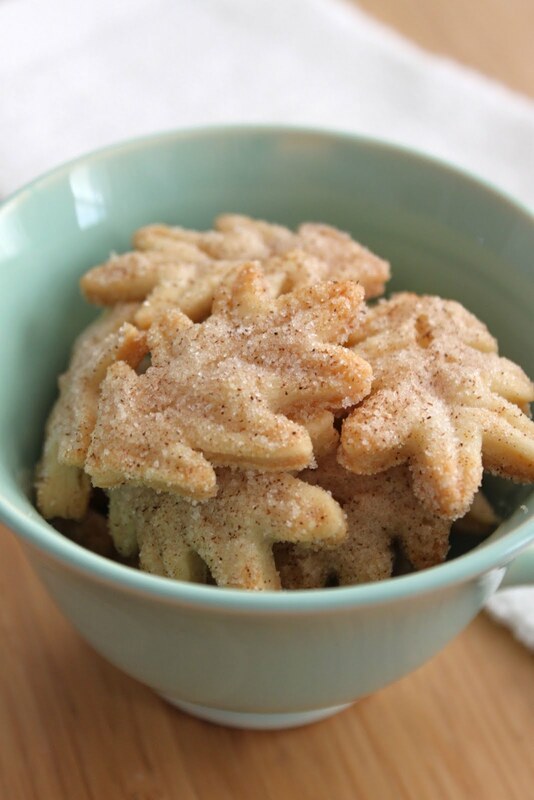 When I made these I did not add enough cinnamon, so I have adapted the recipe below. Stay tuned for several more delicious recipes. I will be posting frequently this month! Preheat oven to 250 degrees Fahrenheit. Line a baking sheet with parchment paper or a silpat. In a gallon sized freezer bag mix together the egg whites, vanilla extract, and water. In a separate gallon sized freezer bag mix together the sugar, cinnamon, and salt. 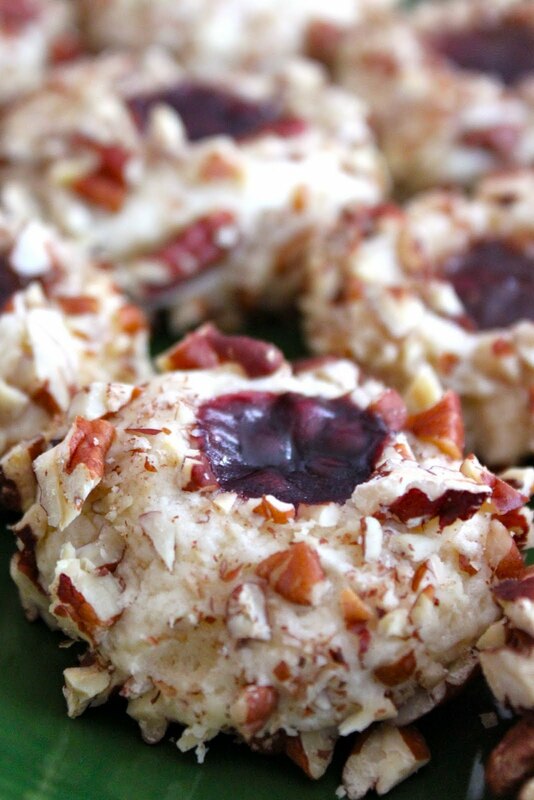 Add pecans to the bag with the egg white mixture. Seal the bag and shake around the pecans until they are evenly coated. Transfer the coated pecans to the bag with the sugar mixture. 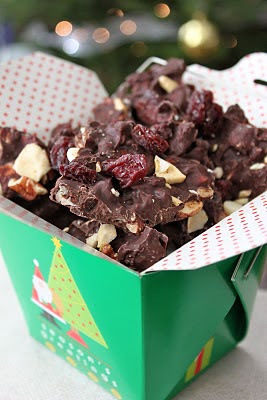 Seal the bag and shake around until the pecans are evenly coated with the sugar mixture. Spread the pecans on the prepared baking sheet. Bake for one hour, stirring every 15 minutes. Cool completely before serving. 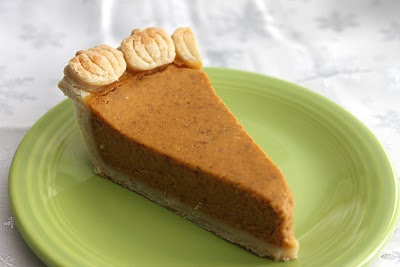 I know that Thanksgiving has come and gone, but that does that does not mean it is too late to eat Pumpkin Pie. Zack and I LOVE pumpkin pie. It is so creamy and delicious. When I was a kid it was the only pie I would eat. Ask my mom if you don't believe me. Last year Zack even made me a pumpkin pie for my birthday. I use canned pumpkin in this recipe, it is just easier and reliable. 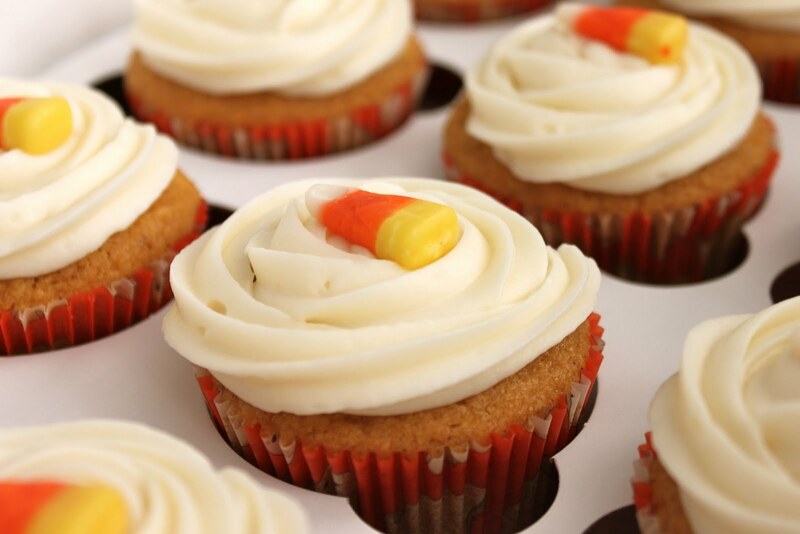 So if you are also using canned pumpkin, you can make this any time of year. 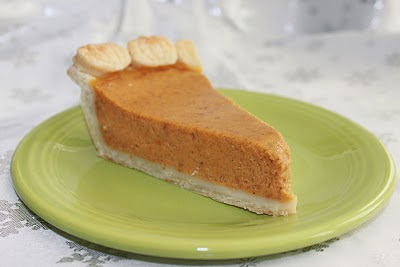 If you are stickler and only have pumpkin pie in November you can bookmark this recipe for next year. P.S. Thanks dad for the awesome pie cutters! 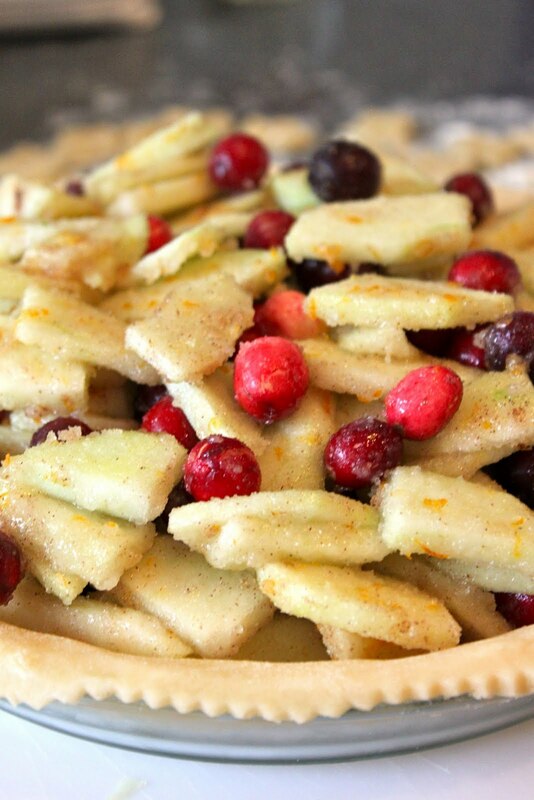 Preheat oven to 425 degrees Fahrenheit Mix sugar, cinnamon, salt, ginger, cloves, and mace in a small bowl. Beat eggs in large bowl. Stir in pumpkin and sugar-spice mixture. Gradually stir in evaporated milk. Pour into pie shell. Bake in 425 degree oven for 15 minutes. 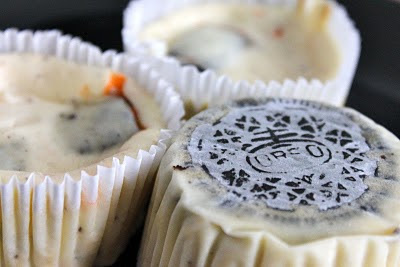 Reduce heat to 350 degrees Fahrenheit; bake for 40 to 50 minutes or until a knife inserted near center comes out clean. Cool on wire rack for 2 hours. Serve immediately or refrigerate. I am in a velvet kind of mood. I had a tough time deciding what to post tonight because I have been baking up a storm. I have a backlog of cupcake recipes that need to get posted, but I didn't want to overwhelm you with cupcakes. If you were wondering why I said "I am in a velvet kind of mood" it is because what I baked this weekend. First on Friday night I made Blue Velvet Cupcakes (if you follow Baked Perfection on facebook you saw a picture of them yesterday) and then last night I made the Red Velvet Cream Cheese Swirl Brownies pictures above. Yesterday I was watching Food Network, which is often on at our house, and on the TV was an episode of "Cooking for Real". Sunny was making Red Velvet Swirl brownies. I once watched her make them on "The Today Show" and even though I had stuff I needed to get finished around the house and I had seen her make these brownies before I sat and watched the entire episode just for these brownies. I had no intention of making them yesterday, but I knew I would make them eventually. Fast forward to last night and there I was in the kitchen making these brownies at 10:30! I had all the ingredients and they would not get out of my head. These brownies did not let me down one bit, they were fantastic! 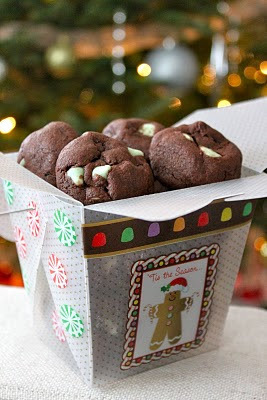 These are definitely a special brownie and I think they would be perfect for any special occasion. recipe adapted from Sunny Anderson, host "Cooking for Real"
Preheat oven to 325 degrees Fahrenheit. Line muffin tins with paper liners. Whisk together flour, baking powder, salt, cinnamon, pumpkin pie spice, and nutmeg. In separate bowl, whisk together the melted butter, pumpkin puree, both sugars, and eggs. Add the flour mixture, and whisk until just combined. Divide batter evenly among lined cups, filling each three-quarters full. Bake until a cake tester inserted in centers comes out clean, about 20 minutes. Transfer tins to wire racks to cool completely before removing cupcakes. 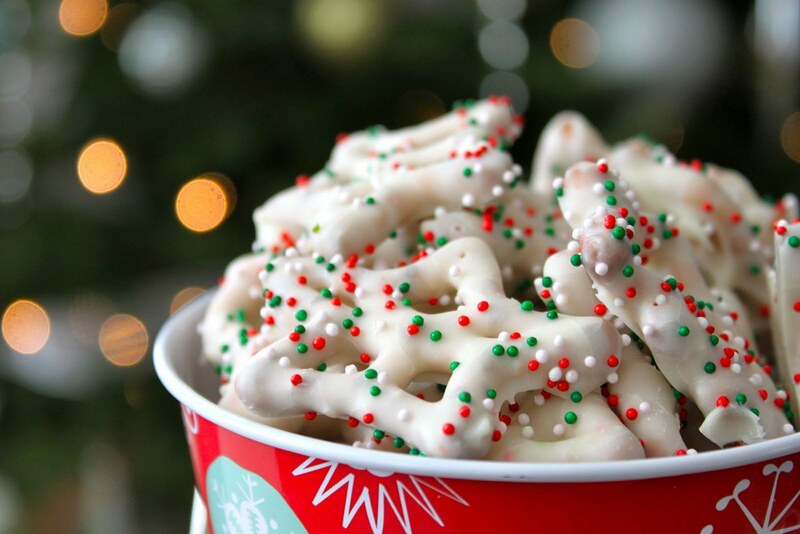 Frost with Cream Cheese Frosting. Makes 15 cupcakes. Beat butter, cream cheese, and vanilla with a mixer on medium-high speed until fluffy, 2 to 3 minutes. Reduce speed to low. Add sugar 1 cup at a time; mix until smooth. 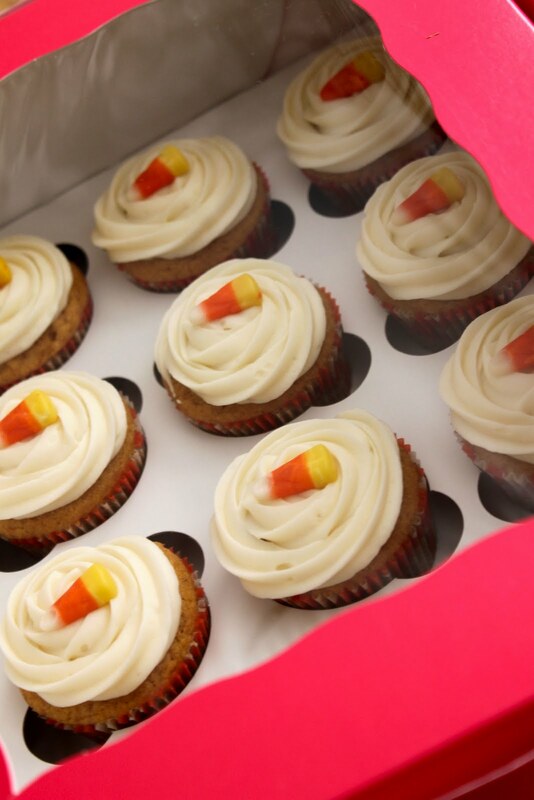 These cupcakes are all packaged up for a party. This past weekend we went to our friends' John and Leslie's. We don't get to see them as frequently as we would like so it was a real treat. I was lucky enough to spend part of the afternoon taking photos of their adorable six month old daughter in her Halloween costume. The other part of the afternoon Leslie and I attempted to make cake pops. I say attempted because it was not as easy as it looked. I brought over a prepared cake and some leftover maple buttercream. We put the cake in the food processor with some frosting to ensure it would combine nicely. I guess I was not paying attention to how much frosting I added because we ended up with a sloppy wet mess! We ended up having to bake another cake to compensate for all the frosting. 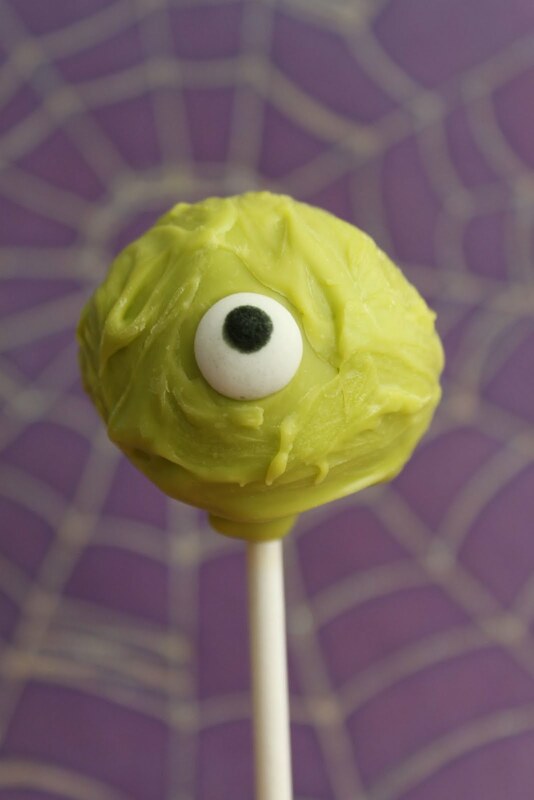 The lesson here: pay attention when adding your frosting to your cake when making cake pops . I am not going to post a recipe or directions in this post since I have made all sorts of cakeballs and pops and of course there is the master, Bakerella. We decided to go with monster eyes and pumpkins. I found the eye sprinkle at target in case you are looking. To create the texture on the monster eye pop, we dipped it as normal and then added the sprinkle. When it was dry I used my finger and "painted" on some more melted green chocolate. To make the faces on the pumpkins we melted some black colored candy melts, put them in a ziplock bag, cut the corner off the bag, and then drew the face. Stay tuned this week for an Oreo Cheesecake recipe! Beware...people will fight you for this! Earlier this year our friend John turned 30 (which I mentioned in earlier posts). 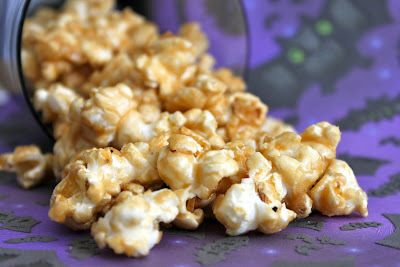 To celebrate this momentous occasion, his wife hosted a great party and his mom, Sue, made this AMAZING caramel popcorn. I already thought his mom was pretty great, but the fact that she created the tastiest popcorn I ever ate just put her over the top. Lucky for me (and you) she shared the recipe. This popcorn is not only delicious, it is easy to make, and super affordable. I bagged the popcorn in cute little cellophane bags that had skeletons printed on them and tied it off with an orange Halloween ribbon. I think this would be perfect to give out as a favor for a party or even in a big cauldron to share. In a medium saucepan, melt together the butter, brown sugar, and corn syrup. Bring to a boil, stirring frequently. Boil over low heat 5 minutes. Remove from heat and add the baking soda and vanilla. Place the popcorn into a turkey roaster pan coated with cooking spray. 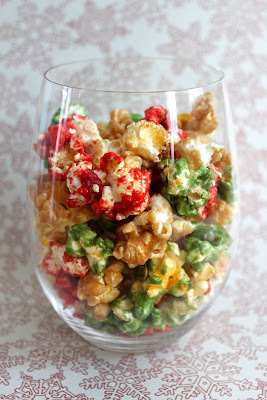 Pour caramel over popcorn. 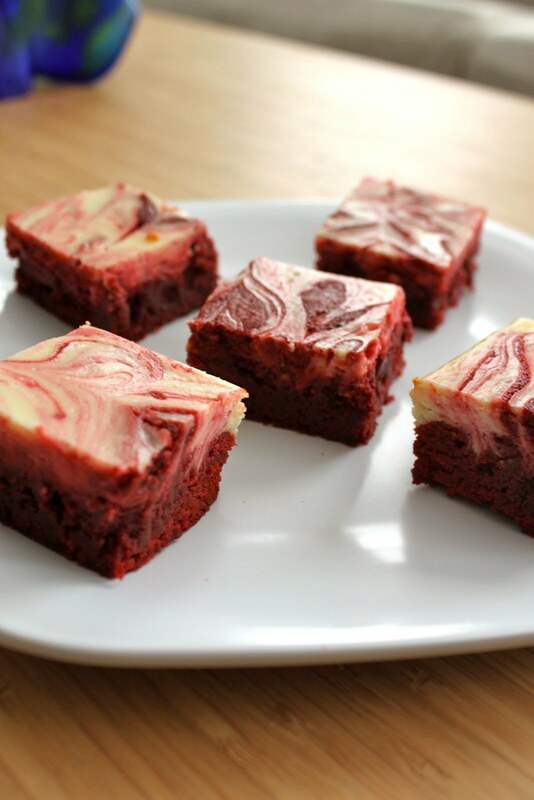 Bake at 250º for 45 minutes, stirring every 15 minutes with a spatula coated with cooking spray. Let cool before serving. I love Halloween. I always have and I am sure I always will. I actually hate being scared and refuse to watch scary movies or go to haunted houses, but I love the decorations, the dressing up, the pumpkin patch and all the other things that go with Halloween. To get into the holiday spirit Zack and I went to the pumpkin patch this weekend (which is always fun) and I started making Halloween Treats. 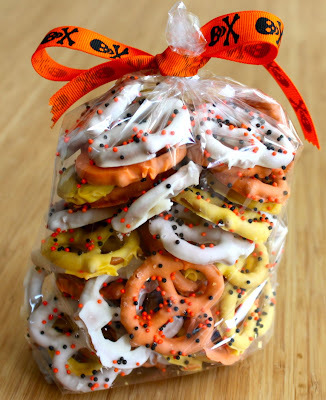 Chocolate covered pretzels are pretty much universally loved by all my friends and family. 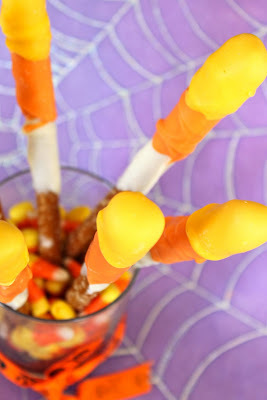 Candy Corn on the other hand is not. I enjoy the cute Halloween Candy, Zack won't touch it. 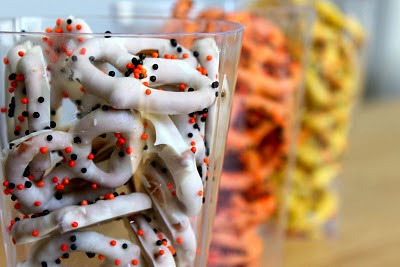 So what did I do...I decided to make candy corn colored chocolate covered pretzels and it was a success. I am not going to post the how to here since I have posted it here: White Chocolate Covered Pretzels. Instead I will just post a few extra pictures. 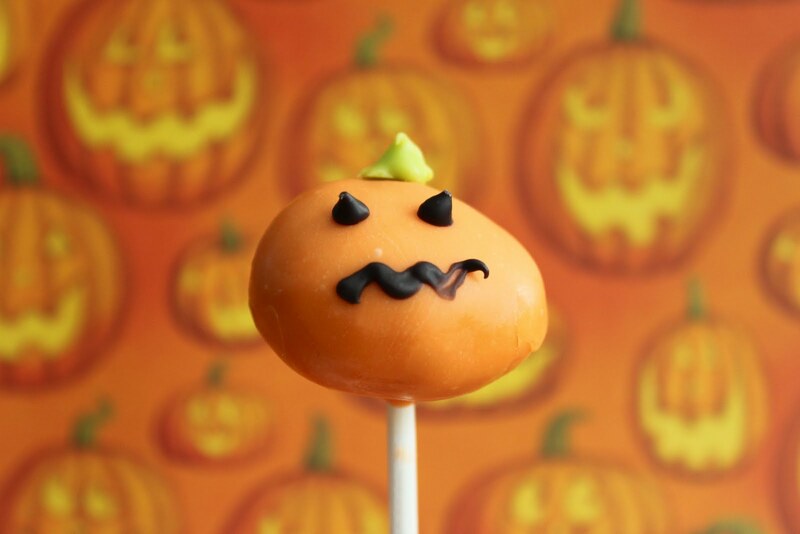 Stay tuned for more Halloween Treats! Here they are all bagged up and ready to be gifted. Now you can see these treats featured on Rosie Snow on the Road. This was an idea I had with pretzel rods. I dipped the rod in each color, starting with the white chocolate and letting it cool between each color. They did not come out quite as cute as I was hoping, but they still tasted good.